Moreover, the percentage of women in manufacturing jobs continues to creep up, from 27 percent in 2015 to about 30 percent in 2017. And many bring with them a commitment to produce, innovate and serve as role models for the next generation of workers. MetalForming magazine is proud to bring you the 2018 Women of Excellence in Metalforming and Fabricating, The honorees—19 Winners and four Honorable Mention recipients selected by MetalForming editors—have distinguished themselves for their on-the-job accomplishments and continuous commitment to manufacturing. The group represents myriad job functions, including operations, production, quality control and management, and shares a common trait: passion for our industry. Efforts to increase manufacturing opportunities for women while recognizing their skills is an important function of MetalForming’s parent organization, Precision Metalforming Association (PMA), and Women in Manufacturing (WiM), an organization that grew out of PMA’s commitment to these efforts. We at MetalForming invite you to join us in congratulating our 2018 Women of Excellence award winners. Read their stories and why they recommend careers in manufacturing for women. 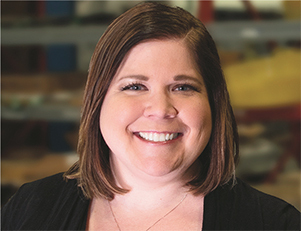 Stacey gained her start in the family business 20 years ago as office manager before assuming the presidency nine years ago, shortly after the passing of her dad, Steve Bales, who cofounded the company with his brother Mike (retired) in 1978 as Bales Mold Service. As co-owners, Stacey and her sister Sara, who serves as vice president, rebranded the company as Bales Metal Surface Solutions in 2012. 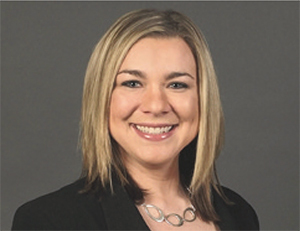 In addition to her responsibilities as company head, Stacey serves as secretary/treasurer of the Chicago Midwest Chapter of the National Association for Surface Finishing (NASF) and the Chicago Surface Finishing Foundation, and as a member of the Technology and Manufacturing Association Young Leaders Committee and The Future Leaders in Plastic group, a segment of SPI:The Plastics Industry Trade Association. 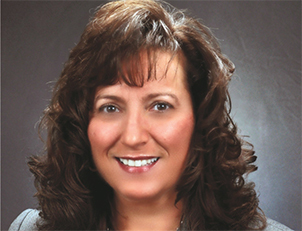 Locally, Stacey is a charter member of the Downers Grove Kiwanis Club. 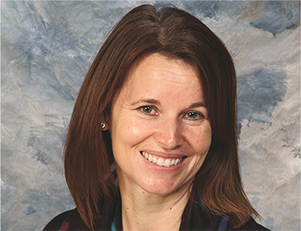 Her awards include the 2018 NASF Award of Merit; 2017 Products Finishing Top 40 Under 40; 2016 TMA Young Leader Award; and Plastics News 2015 Rising Star. 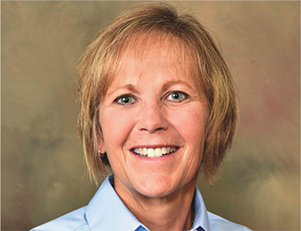 Joining the company in a clerical role 31 years ago, Mary Jane excelled in progressively challenging roles in administration, sales and manufacturing, which enabled her to learn all aspects of the company’s operations. In 2007, she was promoted to vice president of operations, where her work ethic, intelligence and natural leadership skills could be applied while overseeing all manufacturing functions. 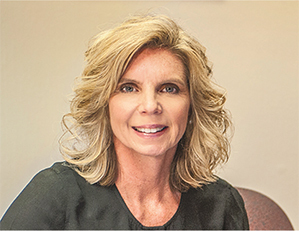 Mary Jane assumed overall leadership of the company in 2013, and has since led the effort to expand manufacturing operations into the United States with the successful opening of a hinge-manufacturing plant in Rome, GA. She’ll be at the helm in 2019, when Larsen & Shaw celebrates its 100th anniversary. Over her 19 years at Highlands Diversified Services, Michelle has been instrumental in developing processes, technology and systems to support launch activities and achieve International Automotive Task Force (IATF) quality standards. These efforts have set the stage for the company’s current launch activities, which include more than 200 new automotive-part numbers over the next 12 months. Her mindset of tackling any problem and finding a sustainable solution, as her nominator notes, allows her to excel as the company’s director of engineering and has earned the respect of customers. As an example, Michelle was specifically selected by an automotive client to attend a global supplier event in Japan, where she was presented with one of only two awards given to North American suppliers. A 13-year employee of Pine Technical and Community College, Kris, for the past two years, has served as the cornerstone of the Women in Welding grant that was awarded to the school through a Minnesota Department of Employment and Economic Development Equity Grant, which focuses on teaching women in the region nontraditional skills, such as welding, and assisting in finding employment in the metalforming industry. A 17-year industry veteran, Misty has for the past three years been a valuable member of the KT Fabrication team, perfecting her welding skills to the level of advanced journeyman, leading the company’s welding department in its custom architectural-metal fabrication and expanding her blueprint-reading capabilities. Her nominator says that Misty represents positive change in our industry by showing that women can do anything that men can do, and that her infectious enthusiasm and optimism allow her to break down barriers. In other words, while her extreme welding talent does most of the talking, she's also mastered communication skills that enable her to effectively lead the company’s novice and skilled fabricators. 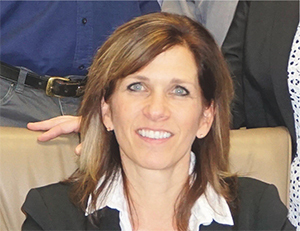 Carrie has dedicated her 30-year career to leading and improving manufacturing. While she’s been with Waukesha Metal Products for just one year, her accomplishments are many. She has implemented process-improvement and program-launch initiatives; revamped best practices and the company’s quality program; improved quote-risk analysis; streamlined and improved customer audits; and coordinated the approval of the new IATF certification. 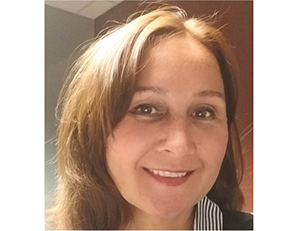 Since joining GK Machine three years ago as purchasing manager, Stacy, a 25-year industry veteran, has revamped the company’s purchasing department, saving money, increasing efficiencies and improving vendor relationships. Her duties include: costing analysis of raw materials from steel vendors, parts suppliers and contract services; tracking and managing inventory costs, including interest, space requirements, heating, extra handling, extra manpower, insurance, etc. ; overseeing tariff management; analyzing transportation expenses; and much more. 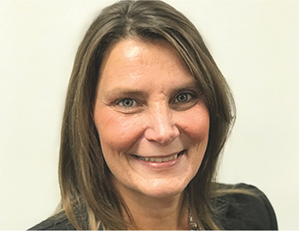 At IRMCO for 19 years, Jennifer, a 32-year manufacturing-industry veteran, has led the company to record growth while helping foster an innovative company culture of open-book management and development of high-technology lubricant products. 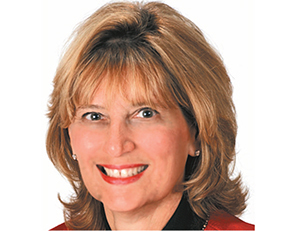 As the only woman president in the lubricant industry, according to her nominator, Jennifer has helped the company successfully develop and market non-oil lubricants to industries still dominated by oil-based products. A leader in her local Evanston, IL, community, she grew up in the Detroit, MI, area, graduated from Michigan State University, and has stayed in the Rust Belt to serve metal stampers. 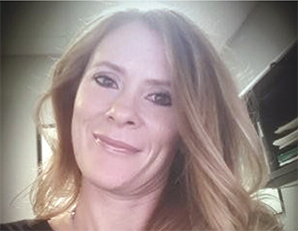 Erika has been with Global Shop Solutions since her graduation from Baylor University in 1993. Starting her career in customer service, Erika steadily progressed to increasingly complex roles. As vice president of research and development, she’s helped the company develop innovative products revolving around shop-floor data collection, paperless shop floors, quality systems, job costing and more. Erika has led the design, development and commercial release of the entire Global Shop Solutions ERP package, which consists of more than 25 modules. She accomplished this by motivating, coaching, growing and leading nearly 100 research-and-development employees across four teams. For 15 years, Virginia has contributed greatly to the metal-fabrication industry, beginning with her family’s 100-year-old HVAC business before taking a risk eight years ago when she launched Mills Specialty Metals, which focuses on architectural metals. Described as a detail-minded leader who cares deeply about her employees, clients and industry, her awards and accomplishments are many and include Georgia Trend magazine’s Top 40 Under 40 and Marietta Daily Journal’s Mom of the Year. She is a Leadership Cobb (GA) graduate and alumni president, and she has served on numerous local boards and in leadership roles at her local church. Her company employs 4000 and has a high-profile project resume that includes the CocaCola headquarters, Mercedes-Benz stadium (Atlanta Falcons) and SunTrust Park (Atlanta Braves). Named by the Atlanta Business Chronicle as a PaceSetter (fastest-growing) company in Atlanta, Mills Specialty Metals also was selected as one of Cobb County’s top-25 small businesses. Her nominator states that Virginia doesn’t sleep until her clients and employees are happy. Given the company’s success, she deserves to sleep well. Sherri has spent her 17-year metals career at Almetals, where she is recognized in customer surveys for the service and solutions she helps to provide. Knowing firsthand what customers need enabled her to play an important role in the development of Almetals’ custom software for sales and customer service. Moreover, her experience and passion for the metals industry enables her to serve as an effective mentor for younger employees. "Women have a different approach to problem solving that provides a much needed balance and diversification to any manufacturing organization. Working in a male-dominated industry brings many challenges for women, but those who are willing to accept the challenges as opportunities can reap great rewards, personally and professionally, throughout their careers." 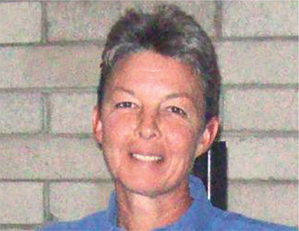 Jan has more than 37 years of industry experience as a founding member of her company. Her contributions extend from developing products that answer industry needs, such as metal-integration products, to having served as a director on the boards of several industry organizations. A women-owned business, Jan’s company has grown from three to a staff of 100-plus, and strives to maintain green manufacturing processes. 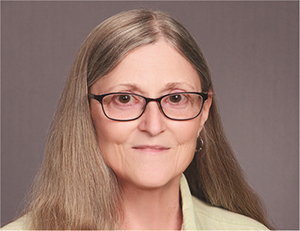 During her 30-plus years in the metals industry, Dierdre has held various positions representing management-information systems, customer service, inventory management, and purchasing and sales. An active member of the Association of Women in the Metal Industry for 25 years, Dierdre has served on the Chicago chapter’s board of directors, and continues to volunteer and mentor the next generation of women in manufacturing. Mikie began her career 16 years ago as an inside sales representative. Shortly thereafter she advanced to inside sales team leader. Today, as manager of inside sales, she focuses on furthering the skills and knowledge of her team to ensure that they are able to reach our sales growth and profitability targets. Currently involved with strengthening her company’s application of analytical tools for sales forecasting and inventory optimization, she also assists in the advancement of her company’s social-media utilization for marketing- and employee-recruitment purposes. 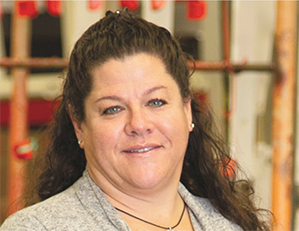 Mikie’s nominator says that her “knowledge of all intercompany processes and procedures helps to expedite repair parts, so that customers can keep their presses running. To provide that support, her work week often extends into the weekend. She excels as a manager and fosters team building and helps to further the technical abilities of her team members. As the first female CFO/controller in the 100-year history of her company, Deborah immediately jumped in with both feet upon being hired just one year ago to learn as much as possible about her new industry and company. 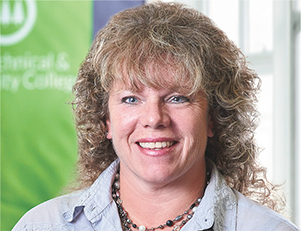 Moreover, Deborah’s commitment to recognizing young talent and mentoring young people is seen in the accounting co-op opportunity she launched for two local college students. Debra has implemented many line upgrades by thoroughly looking into assembly dies and fixtures. Forty-one years in the industry, including 33 with her current company—“I starting my career on a drafting board, and now I perform 3D computer modeling,” she says—provides her with the experience and knowhow to succeed as tool design engineer. 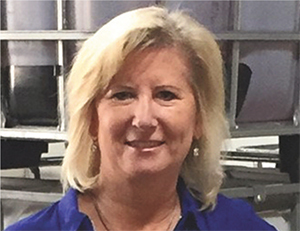 At Shaeffler-LuK USA, Debra works closely with production leaders and group leaders from the assembly lines, and is quite familiar with the needs of those working on the lines. As a result, she does not hesitate to include answers to those needs into new tooling and line setups. 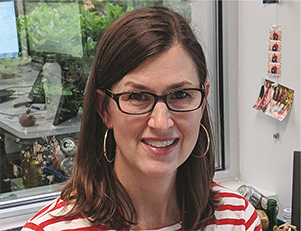 “She became the ‘go-to’ person in her department, as, for her, no problem is big enough where she can’t find a solution that satisfies everyone involved,” says her nominator. Christie has developed a strategy for, and executed, the rebranding of both Beckwood Press and its Triform line of presses. From organizing consistent messaging across multiple communication channels, to designing sales literature and marketing collateral, her efforts have significantly elevated Beckwood’s brand image within the industry. Her role in redesigning Beckwood's website in 2016 was crucial to improving user experience. Christie also is responsible for managing Beckwood’s presence at manufacturing trade shows, including FABTECH, and has exceeded company expectations in booth design, public-relations messaging and overall coordination of Beckwood’s attendance at tradeshows. Additionally, Christie was named a Champion of PR by PR Week magazine in 2017 because of her design and communication skills, as well as her leadership in the custom-equipment-manufacturing industry. 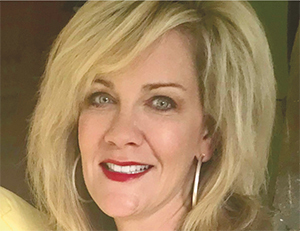 During her 16 years with the company, Jody has progressed from an administrative position in finance to a senior sales position as vice president of business development. An 18-year industry veteran, Jody has worked at cultivating productive working relationships with clients while developing strong communication skills. Away from the job, Jody channels her passion for excellence in helping young girls develop confidence and leadership skills through cheerleading. Dhanwantie has spent 35 years serving in the manufacturing industry, including 25 years with Risa Management. Born in Guiana, she moved to New York and raised two boys while taking care of her mother, according to her nominator. Through all of this, she developed and has run a successful steel-fabrication company. The Women in Manufacturing Association (WiM), with more than 1500 members, is a national association dedicated to supporting, promoting and inspiring women who have chosen a career in the manufacturing industry. The group encourages the engagement of women who want to share perspectives, gain cutting-edge manufacturing information, improve leadership and communication skills, participate in sponsoring programs, and network with peers. WiM encompasses manufacturers of all types and welcomes individuals from every job function—from production to the C-suite—and is inclusive to men. Members benefit from exclusive access to regional and national programming, networking opportunities, bimonthly professional-development webinars, a customized employment tool called WiMWorks, online discussion communities, the quarterly IMPACT e-newsletter, and a robust searchable directory.